Manufactured in ex-Tchecoslovaquie from 1939 until 0. 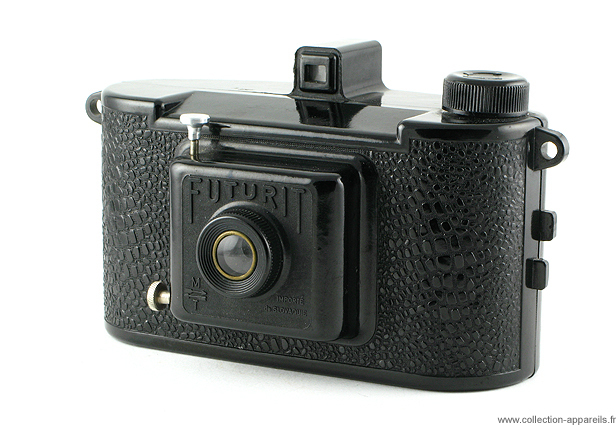 Futurit was the single photographic manufacture of this company of Bratislava (Slovakia), accustomed to manufacture cables (it is what the name of the company indicates). There are some strange points on this camera. First of all, “Imported of Slovakia” (in French in the text) and then, the general form and the material which are very close to those to Super-Fex. Inevitably, the name of Kaftanski comes to mind, but nothing proves its participation.